So, now there's this report that suggests that Facebook's membership could drop by 80% by 2017. For argument's sake though, let's say the research is off a bit. Even if you allowed for them to be wrong by 30% (a very significant margin for error), you're still talking about 50% of Facebook's membership dropping off in the next three years. That's significant and has major implications for organizations that advertise on the platform. Question 1 - Why will/are people bail(ing) out of Facebook? Factor #1 Curation of data. This is a point that I've commented on before: I miss the days of the 'wild west' of the Internet, when you could type in a search term and you'd often get really unexpected results. Sure, I appreciate some of the thinking behind why organizations like Facebook and Google work to provide us with platforms that feature relevant search results/information feeds, but the curation of the data that we see is leading to a more and more homogeneous web experience. It's not just relevance anymore - it's a reduction in scope. Everything is tailored to your previous online experiences, your geographic location and your preferences. AdChoices is an extension and a great example of this (although, they have work to do on their algorithm). With all the potential that the Internet presents in terms of making our world smaller, but our minds, our tastes, and our perspectives MUCH, MUCH larger, the curation of data that's going on right now is disturbing. It brings with it the possibly unintended implication that our online experiences are increasingly, only serving to reinforce ourselves as we are today, not helping us to grow and explore new thinking. Sadly, yes. I have to say it - it might be the fault of advertising, but maybe not the fault of advertisers. Here's the nuance: We all use these free platforms: Facebook, Twitter, YouTube, Bing, Google, Google+. But who pays for them? This is a point I raised back in March 2013 in this blog post. 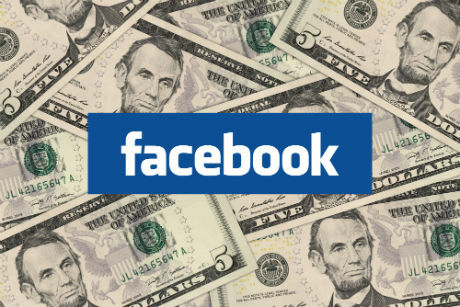 The problem isn't advertisers abusing the system, the problem, in part, is Facebook trying to monetize the platform via advertising dollars (a.k.a. post promotion) and users continuing to think that a) they are entitled to a platform that fits all their needs but is free and b) don't want to have their posts curated on the basis of promotional dollars. Essentially, Facebook is turning all of us into advertisers. Question 2 - And this is the biggie for businesses and advertisers. If we all leave Facebook, where will we go? The answer, I believe, is Google+. I say that because, as the video above highlights, YouTube (owned by Google) monetizes differently and in a way that we can stomach (although it has wider reaching impacts - again, see my post from last March). Similarly, Google+ currently monetizes in a way that the masses will generally be comfortable with. And although I included Google in my tirade about curation above, frankly, they do curate better than anyone else and that will play in. So stay tuned to both Facebook and Google+. Because the online times, they are a 'changin.